Where did the weekend go?? I can't believe that it's Tuesday AND the second week of April already! Time sure is moving. 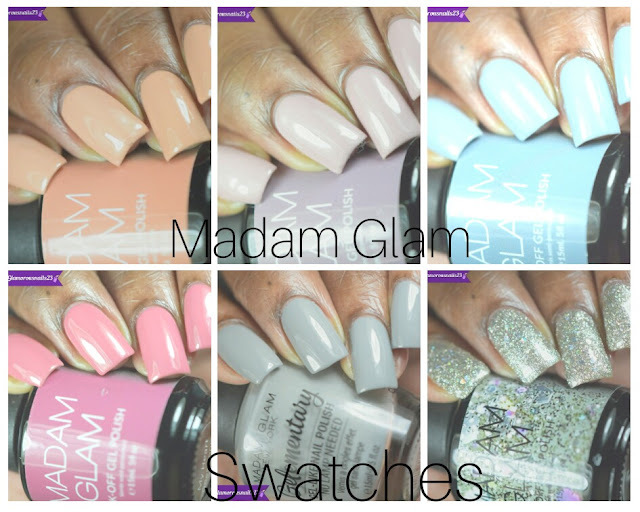 Alright let's get down to some swatches!! 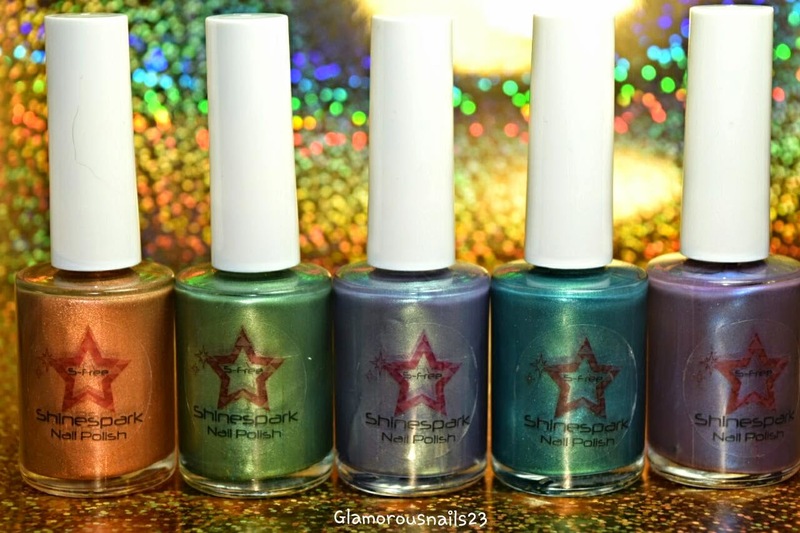 Today what I will be sharing with you is Shinespark Polish's The Heat Collection. This collection is part of the The Light, The Heat Collection which I shared with you in a press release that can be found here. This part of the collection is all thermal polishes! 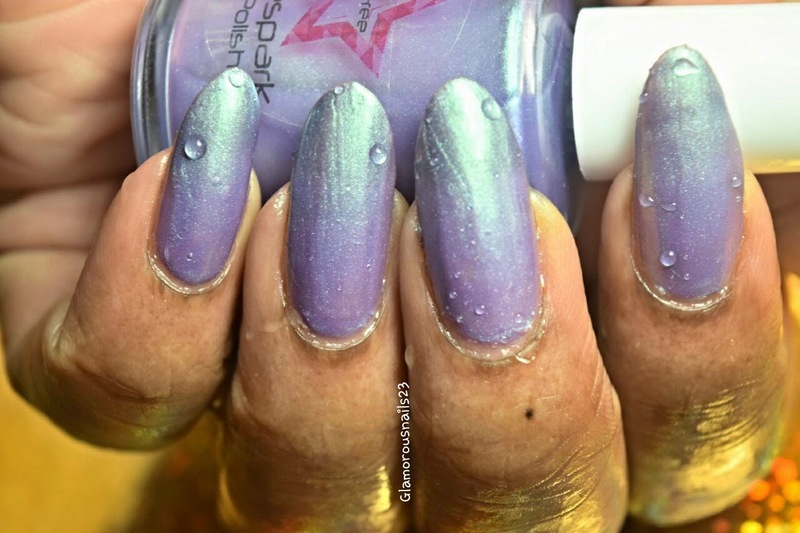 I have never tried a thermal polish before and I'm really excited to share these with you. So lets get started. 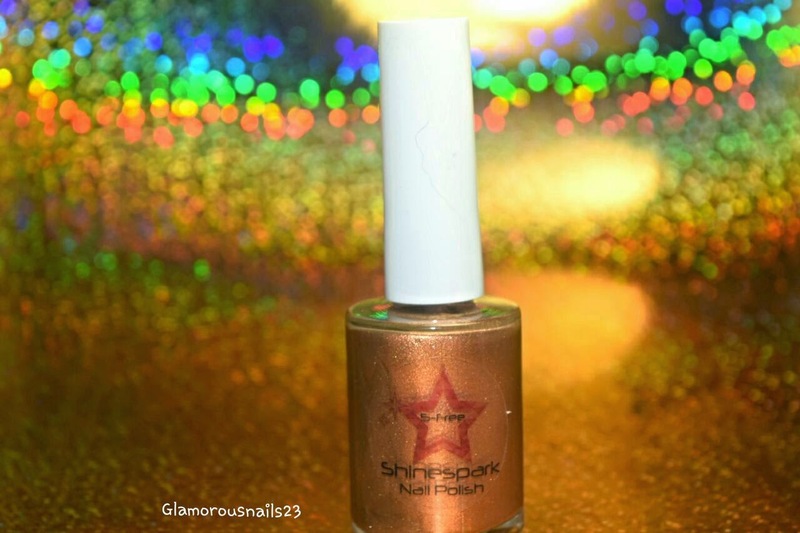 The first polish that I have to share with you from The Heat Collection is Tiger Eye. 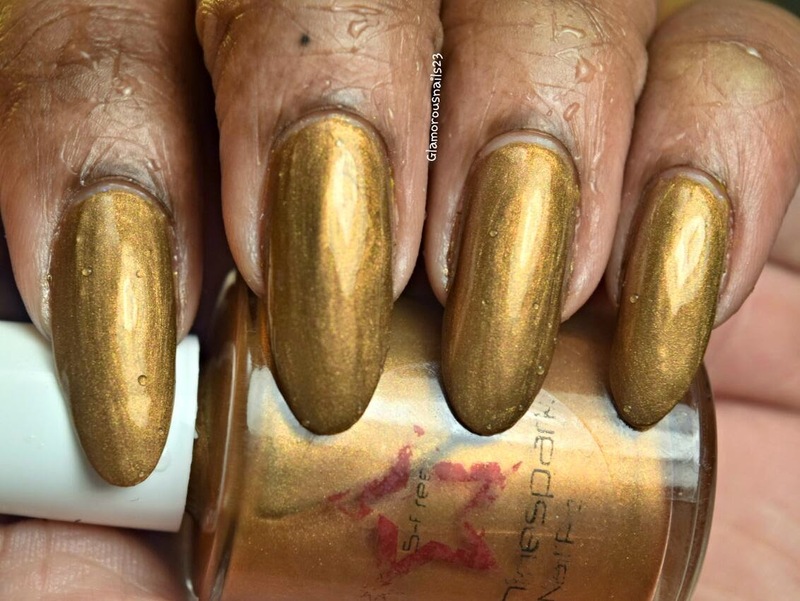 Tiger Eye is a thermal golden butterscotch (when warm), smooth, creme polish. 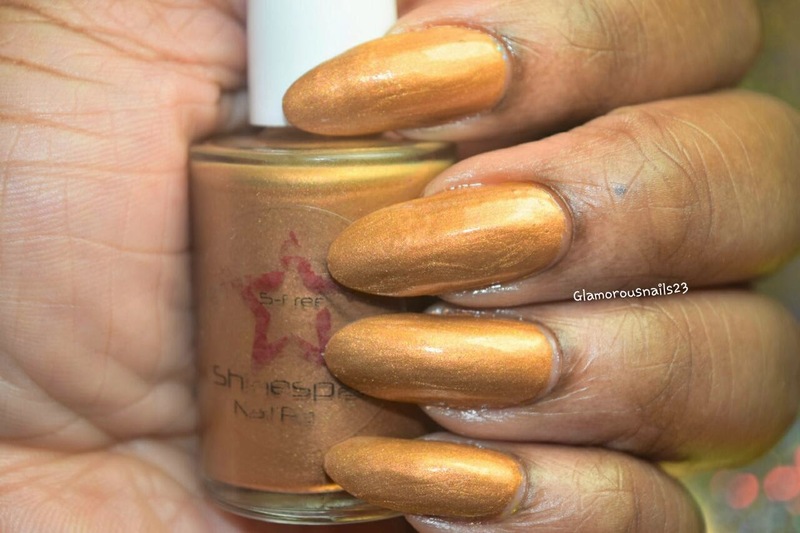 This polish has an amazing shimmer to it, dries super fast and matte. The name suits the polish perfectly! If look up the Tiger Eye stone/gem you will understand exactly what I mean! Isn't this color just beautiful? 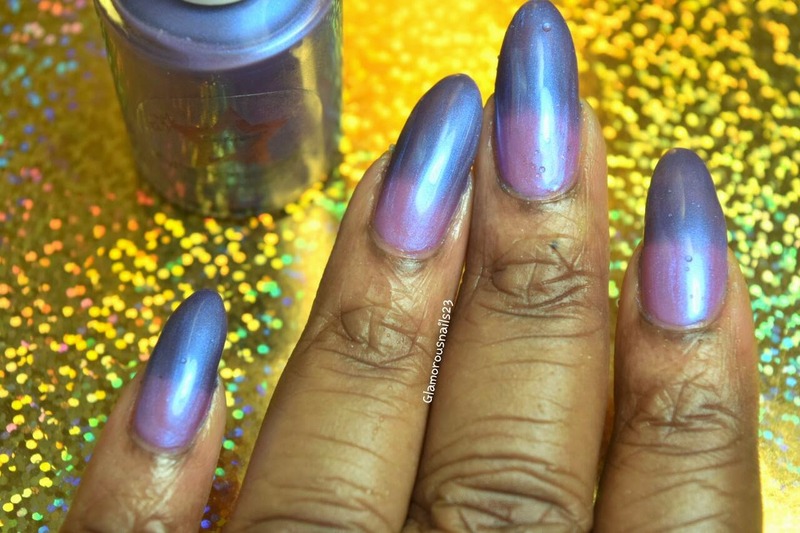 I was able to achieve full opacity with two coats and a top coat. 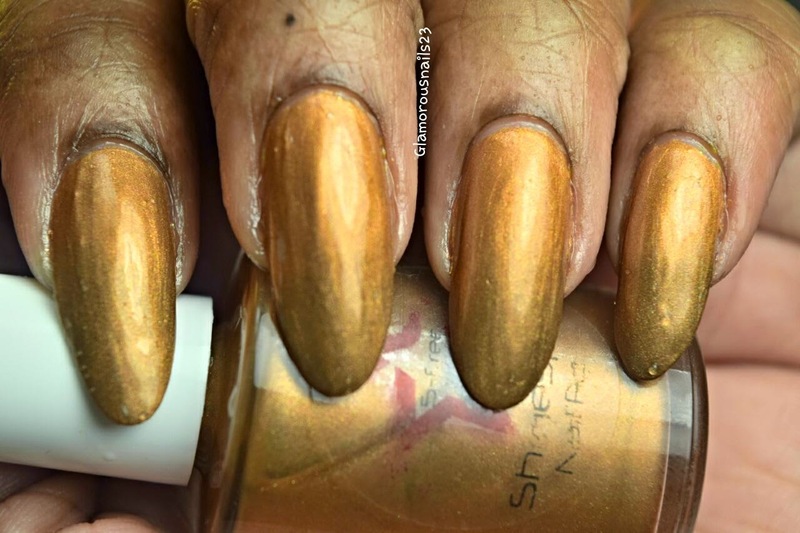 Once the polish gets cold it transitions from this beautiful golden butterscotch color to more of a deep dark copper color. Here's what it looks like completely cold! I like this polish hot or cold. 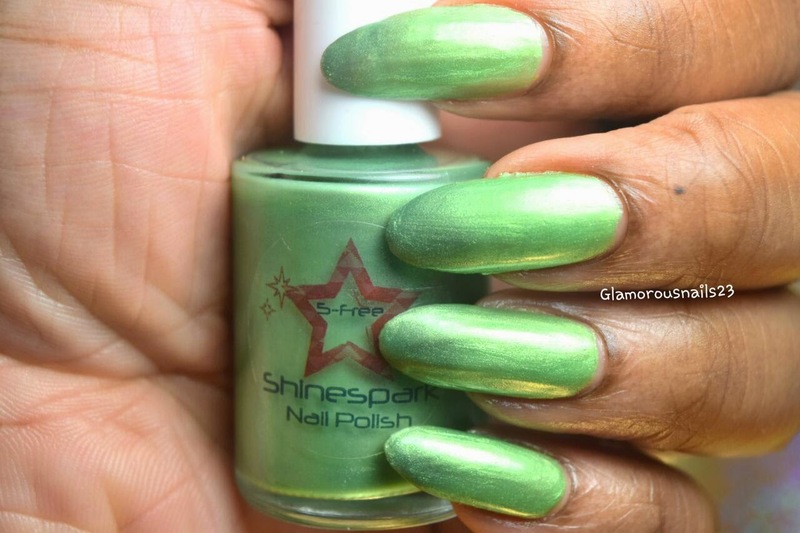 Humming Bird is a smooth bright shimmery metallic green (when warm) creme thermal polish. The coverage for this one was great and it's another two coater (which I love)! When I read the name and saw the color it reminded me of the bird from Pocahontas. Brings back childhood memories :). 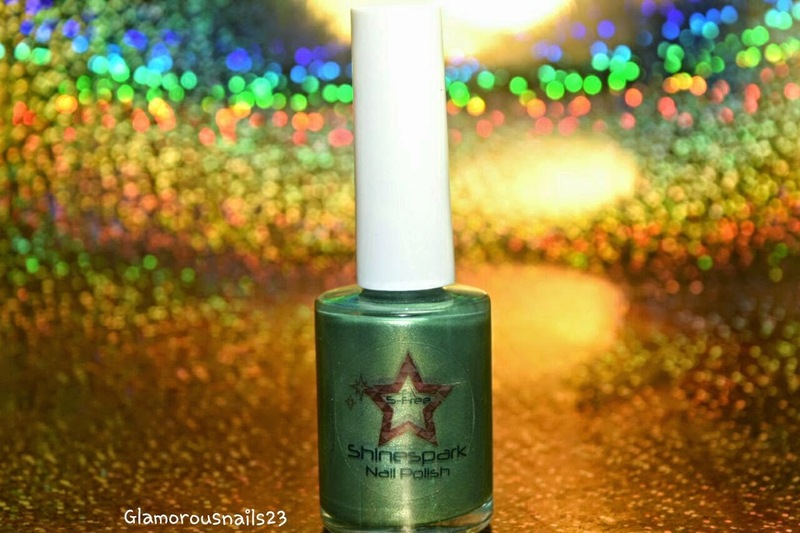 This beautiful shimmery metallic green transitions to a deep grass green color when cold. Look at how rich this green is once it's cold! Next from The Heat Collection is Purple Martin. Okay so when I first read the name I didn't know what a Purple Martin was. So I turned to trusty old Google and found that it's a small female purple bird that looks like she has color shifting properties! She's so cute and this color represents her well. Purple Martin was sheer with the first coat but built very nicely. By the second coat I was able to achieve full opacity with full coverage. 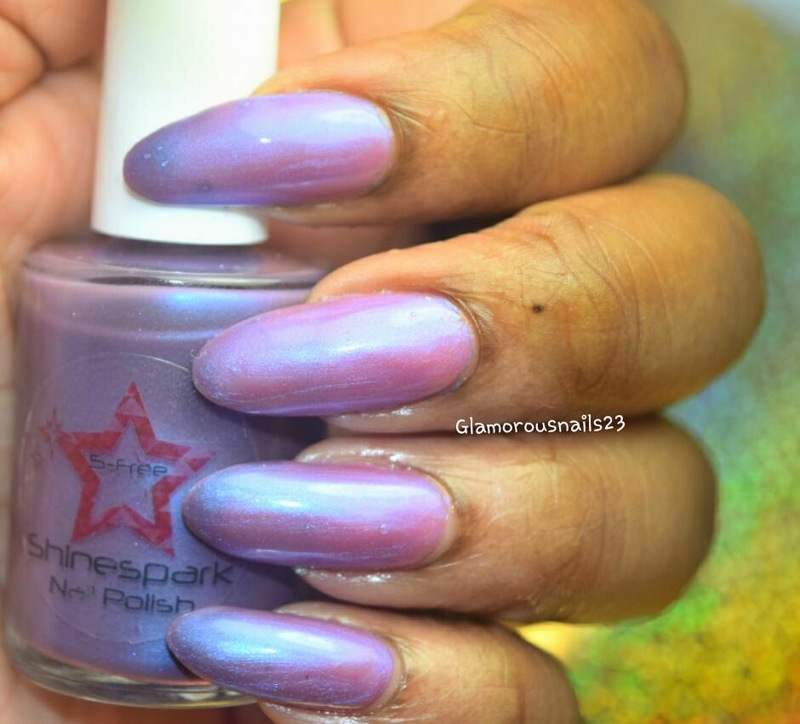 This polish is a soft pinkish-purple(when warm). Purple Martin then transitions from that soft pinkish-purple color to more of a purplish green color (when cold). This polish is just as beautiful once it's completely cold! Peacock is my second favorite color from this collection. 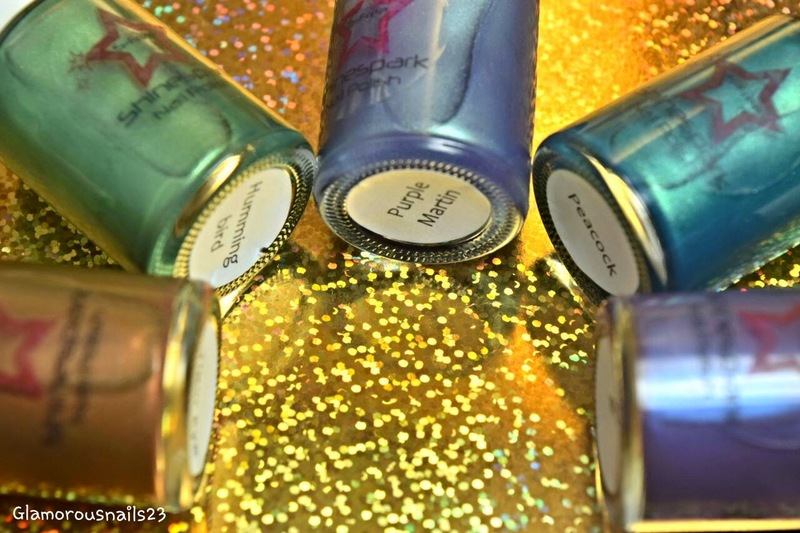 I love how Molly comes up with these unique names for these polishes. 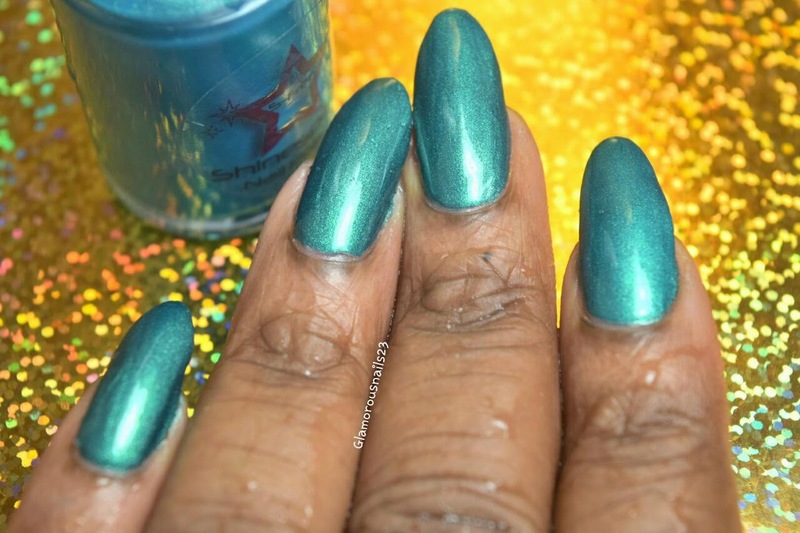 Peacock is an emerald green (when warm) creme polish that has a beautiful shimmer. 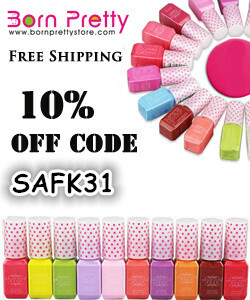 The formula was smooth and creamy and was fully opaque with two thin coats. The polish dries fast and matte but once the a top coat is applied you can really see it shimmer! This beauty transitions to more of a forest green once cold. I really like this color when it's warm but I LOVE it when it's completely cold! Last from this wonderful collection of thermals is Dusk. 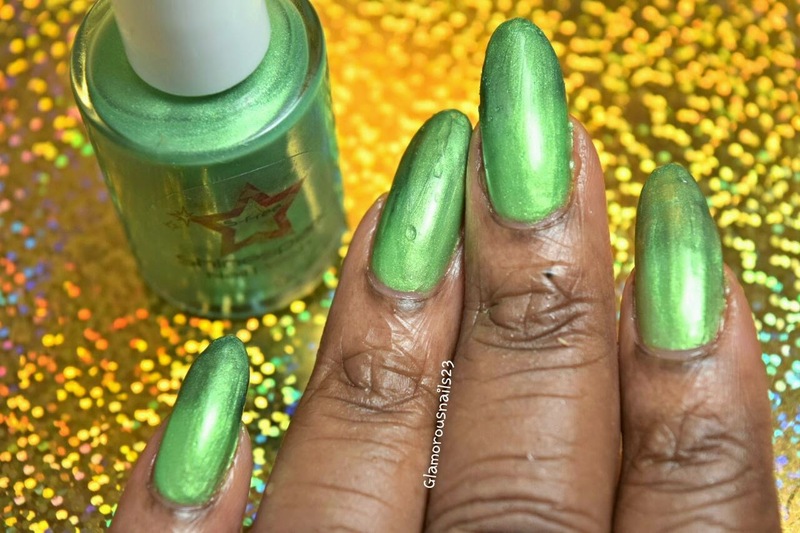 This I must say is my absolute favorite polish from this entire collection. Now the name is pretty self explanatory So I don't need to go into too much detail about it. Of course when I read the name I pictured how beautiful the sky can get when the sun is setting. 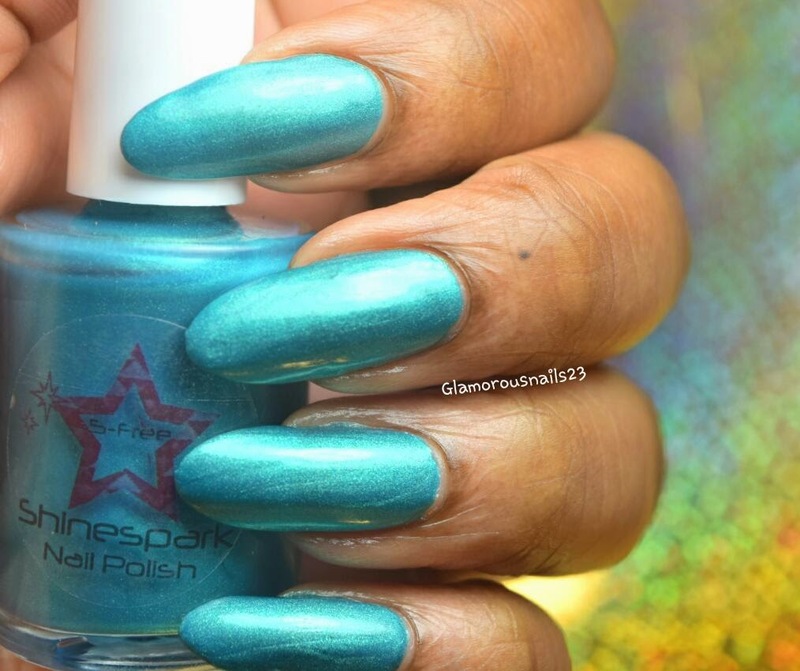 Dusk is a smooth creme polish that dries super fast. 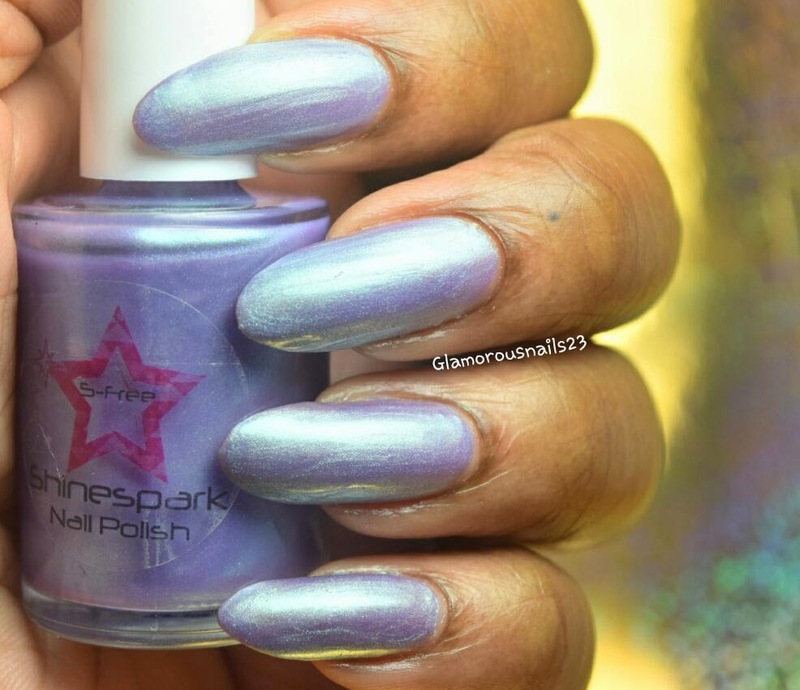 This polish is a very soft pink (when warm) with subtle shimmer. The formula was a bit sheer with the first coat but builds very nicely. 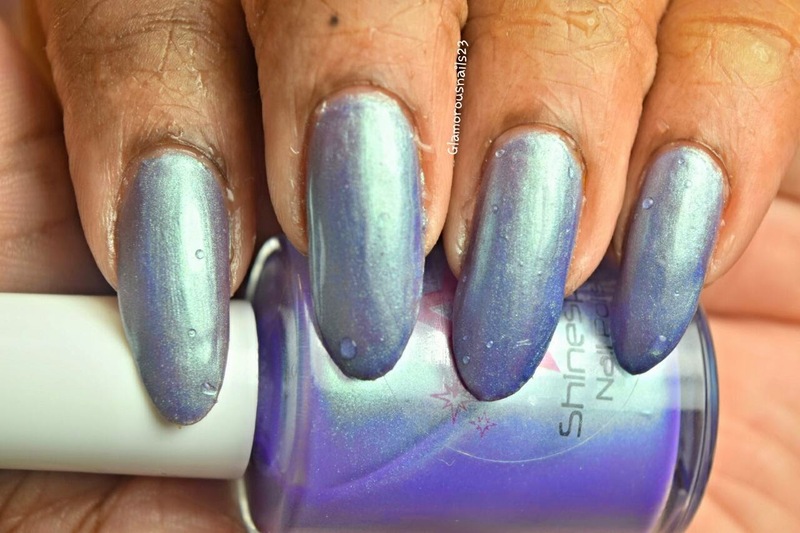 To achieve full opacity I used three thin coats with a top coat. In the photo below for what ever reason I couldn't keep my fingers warm long enough. Dusk transitions from this soft beautiful pink to a deep violet (when cold). This color makes me all giddy. I just love it! LOOK AT IT!!! Just amazing. I just adore this polish in both it's warm and cold stage. For my first time trying out thermal polishes I must say that I love them! This collection definitely makes me want to try out some more. 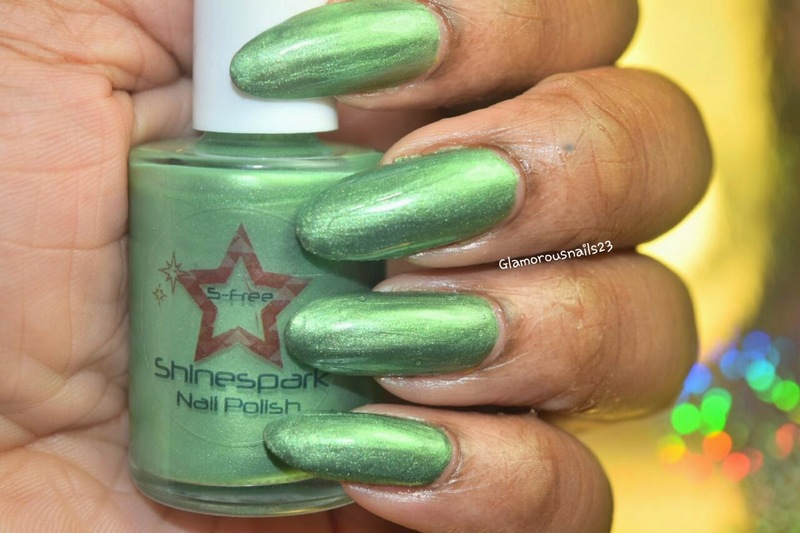 Have any of you every tried any polishes from Shinespark Polish? If so which one? Do you have any favorites from this collection? It's so true! Now that I've tried them I LOVE them. I know!! Isn't dusk just mesmerizing!?!?! I know right! They're so pretty.